Tinnitus is the ringing or buzzing sound in the ears. When someone constantly hears ringing sounds in the ears when there is actually no sound, he needs tinnitus treatment. Tinnitus can have adverse effects on one's life. Although tinnitus treatment can mitigate the adverse effects of tinnitus, yet prevention is better than cure. Tip 1: Never ever use anything to clean your ears. Visit a doctor if you think you need any help with cleaning. 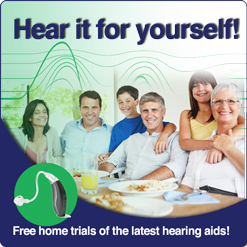 Doing it by yourself might harm the eardrum which could result in tinnitus. Tip 2: If you need to take a medicine for blood pressure, consult it with your doctor first. Certain antibiotics, anti depressants and aspirins can give rise to tinnitus. Tip 3: Observe safety measures and hearing protection at work. You should protect your hearing at all times by wearing earmuffs. You must protect your ears from loud noises not only at work but home too. Tip 4: Not many people know that drinking too much coffee, alcohol and smoking can contribute to tinnitus. All of these affect the circulatory system which can further cause harm to ear vessels of the ear. Tip 5: This is particularly for teenagers as they listen to music at high volume levels. You must refrain from listening to music at such high volume levels as it can lead to tinnitus. These tips will help you keep tinnitus at bay.